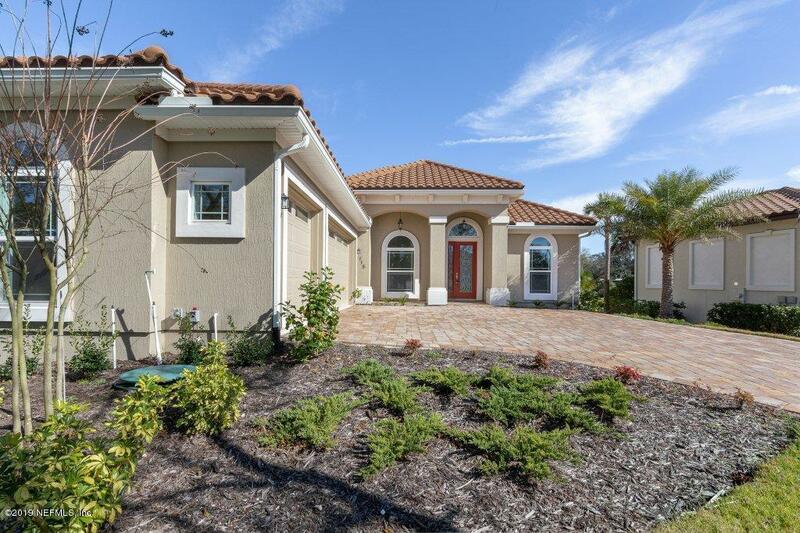 New construction, Mediterranean style home with 3 car garage and room for pool! has all the bells and whistles that today's discerning buyer is looking for. 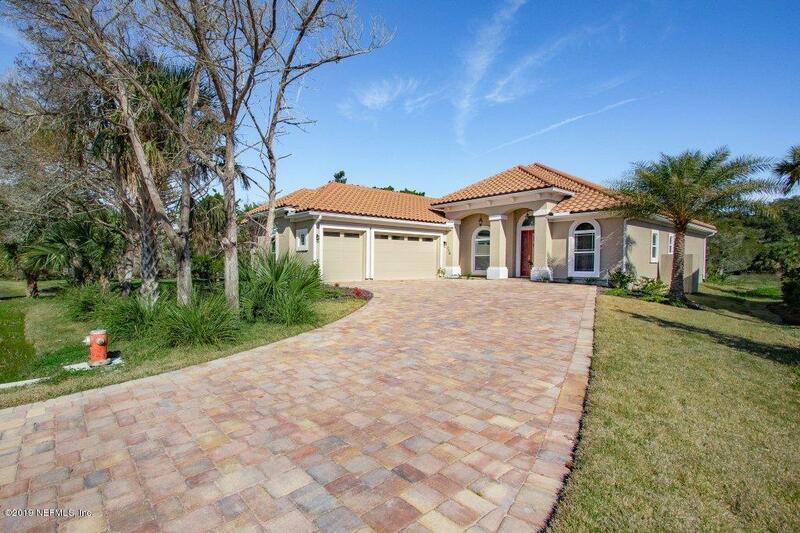 This home, located on Lake Pierre, offers 4bd/3ba plus an additional office, has 2,641 sq. ft. of heated and cooled space, an exceptional elevation of 10ft., is constructed on a superior helical pile engineered foundation, and offers a tile roof. 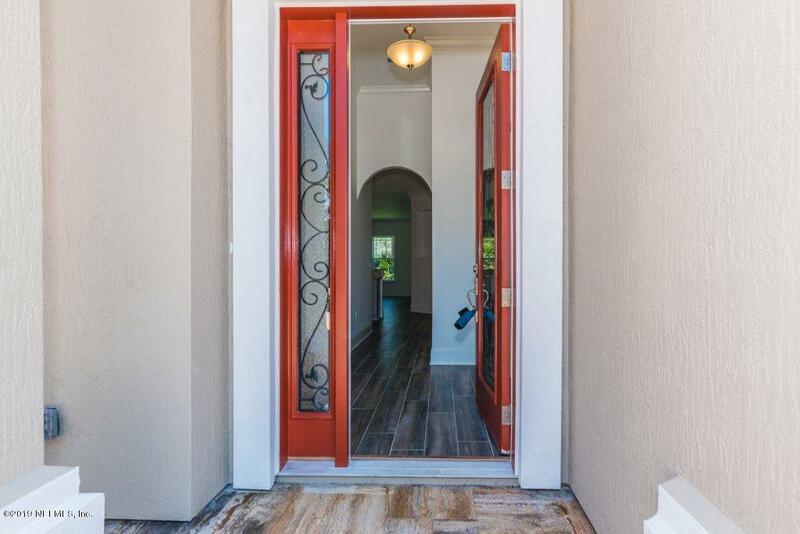 On the interior you will find all living on the first floor apart from the 4th bedroom and 3rd bath which is upstairs and offers a multitude of options depending on your needs. The kitchen is open to the living room, has lake views, and has top of the line cabinetry, Energy Star appliances, and stunning quartz countertops.Throughout the home is tile that looks like wood, 8-foot solid core doors, beautiful light fixtures with LED lighting, smart thermostat, spacious closets and lots of storage throughout. Ask your agent to share the Feature Sheet attached in the MLS to see all the specific high-quality features. 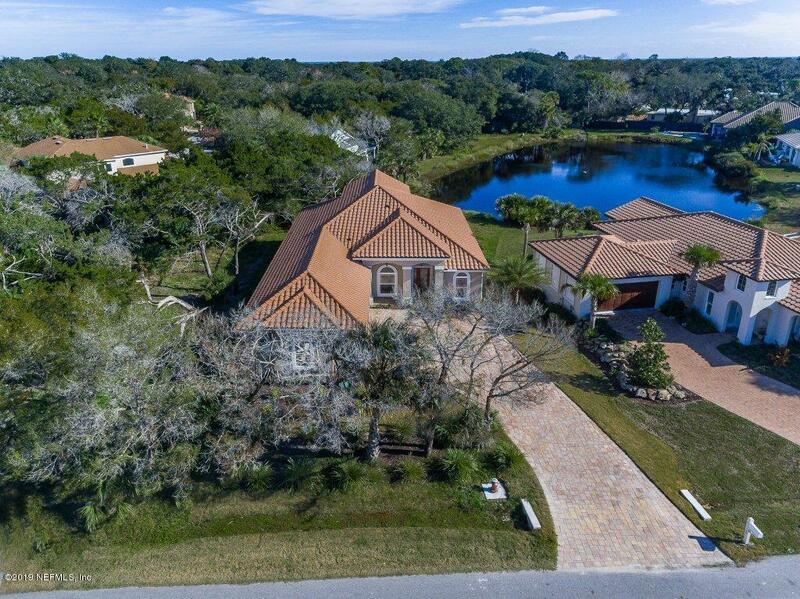 Situated in the gated community of Pelican Reef on Anastasia Island with community dock and boatslip access. The inlet is minutes away via boat! Anastasia State Park that has beach access, St. Augustine Amphitheater and the Lighthouse are a few blocks away, downtown St. Augustine is a quick drive or bike ride away, and the coveted R.B. Hunt Elementary School is right down the road.